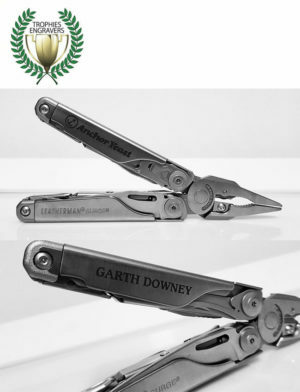 Badges are essential when it comes to certain industries, whether they are name badges or awards badges, and Trophies & Engravers understands that. 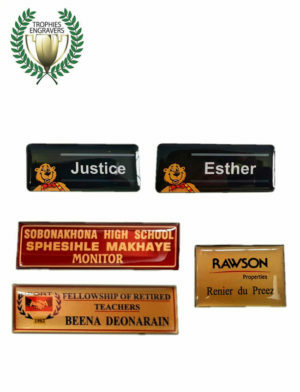 We are badge creating experts and have gained invaluable experience over the many years that we have been in the industry. 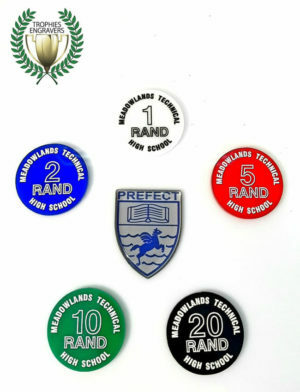 We offer a wide range of badges, and each badge either comes with a pin or magnet, whichever you prefer. As an added extra you can have your badges domed which adds a glossy, raised layer to your badge- giving it a luxury feel. 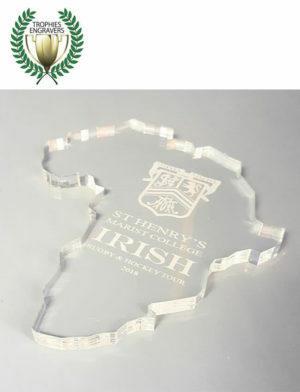 If you’re looking for engraving, we have you covered for that too! 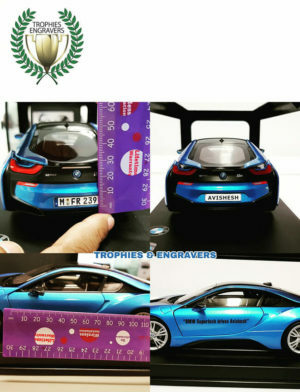 Whether it’s a glass trophy, a metal plaque or a personal item you’d like engraved, we have all the experience and know how to get the job done. Vinyl printing is yet another service we offer our customers. This service, which includes digital printing and vinyl cutting, is performed in house and is the perfect service to make use of in order to take your brand to the next level! 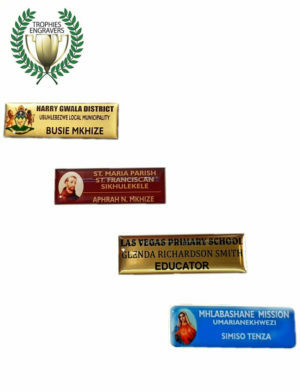 Enjoy browsing our catalogue of top quality badges and related services. Please feel free to get hold of us should you have any questions. Remember that we can deliver these products nationwide.